Learning is our prime focus at Rotary Park Kindergarten and our teachers are fully trained, experienced, qualified and registered. We believe learning should be fun and we provide a quality programme that enhances children’s learning and development in a caring environment. 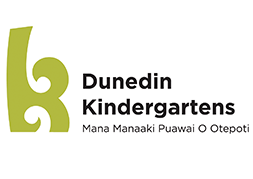 Our programme is based on the principles, strands and goals of the NZ Early Childhood Curriculum, Te Whariki, where children are encouraged to be curious, confident, competent lifelong learners. We believe relationships with children and whanau are vital for children’s learning and we provide a place where everyone feels welcome. Teaching and learning is our prime focus. Our environment reflects a respect for Papatuanuku. Sustainability and learning how to care for pets are a big part of our place. We value the importance of a fun play environment where active movement and healthy choices are promoted. Rich literacy and numeracy experiences are integrated. We value the importance of our outdoor environment for children’s development/learning. We encourage social competence, independence, sharing and caring in young children. We believe in the importance of Te Tiriti O Waitangi and our programme reflects this in our commitment to Te Reo and Tikanga Maori.